What says brunch like a good quiche? Nothing! This recipe is incredibly easy and is a total crowd pleaser. Enjoy! Melt butter over medium heat in medium skillet. Add garlic and onion and saute about 7 minutes until lightly browned. 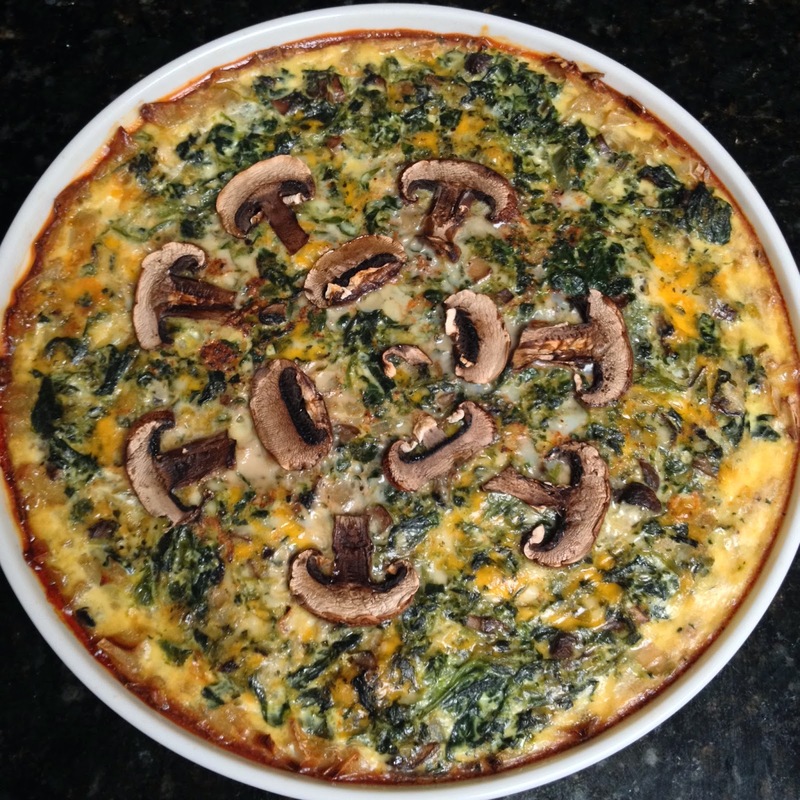 Stir in mushrooms, spinach, and cheese. Add salt, paprika, pepper to taste. Bake for 15 minutes. Sprinkle with the rest of the cheese and bake 35 to 40 minutes more, or until set.